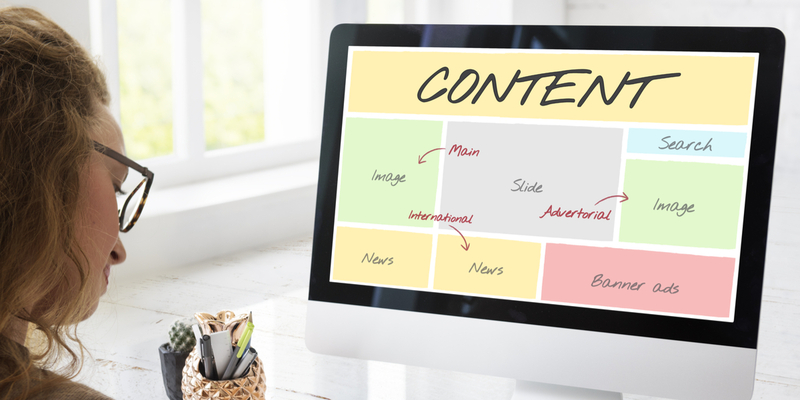 By this point, every marketer understands that “Content is King.” Your ability to create quality content is the backbone of any marketing program, particularly if you have an inbound marketing strategy. The solutions used to host, share, deliver and track content are many with Hubspot, Marketo, and Pardot being the more recognizable names in this space. The point of this article however, is about improving efficiency in the Content Creation (Work In Progress) Process. Regardless of what Inbound software you use to manage your marketing engagement, you still have to have a completely separate process for the actual creation of the content, or at least you should. We are talking about the “Work-in-Progress” portion of content creation. Much like inbound marketing platforms which are customer facing, you should have an internal system in place to manage, collaborate, approve, and share the information during the creative process. This comes with a whole host of benefits with which include; brand consistency, asset and campaign accuracy, time-to-market, and overall efficiency in your production cycle. If you currently have an internal process for content creation, this article can help inform the types of solutions that would be most effective in your marketing technology stack and also uncover areas for improvement. Let’s go through some key technologies that you should consider for your WIP environment. Most organizations start with a Digital Asset Management Solution as a single source of truth for all WIP content. A DAM system should be the foundation when establishing a digital content library of Work-in-progress content, as well as finished assets to be shared with the world. The market for digital asset management software is quite mature, and there is probably a DAM solution to meet any customer requirement or technology experts to help you customize an answer to your specific needs and requirements. How global organizations solve their media management issues across multiple sites, countries, and regions. For many organizations the largest bottleneck in the production cycle is the approval process. Most organizations rely on manual or antiquated processes which are far from perfect and can turn approval cycles into a multi-week process. A proper review and approval solution can cut down a multi-week cycle to a matter of days or even hours. By automating this process you can remove mundane tasks of manually reaching out to individuals and let the solution alert the appropriate person of their responsibility through a series of triggers and actions so you always know where a project is being held up and make the proper adjustments. One of the biggest challenges in any marketing or creative organization is knowing who is working on what and the effort involved in a project. A project and resource management solution is always a solid procurement for your company, allowing businesses to plan, track and bill appropriately. These solutions offer a window into the day-to-day details of a project; Who is writing copy? Who is creating the graphic? How long did they work on it? At what stage are we currently at in the process? Are we on track to make out deadline? Project managers can now have an entire view into any particular project at the tip of their fingers. Stop the Rot: Reclaim lost revenue with effective project management tools. Every company’s way of dealing with creative work-in-progress is different. The above-mentioned solutions are really just the basics on getting started with managing the content creation process. There are a whole host of tools and solutions that can automate and trigger actions to handle very specific task anywhere in the creative production process. In order to find the most effective solution for your organization we recommend working with a seasoned marketing technologist who understands what the most effective tools on the market are and can identify the right technology to meet your organizations specific requirements. If you are interested learning how your organization can create a more efficient WIP, we encourage you to schedule a workflow assessment with an IOI Solutions Architect. This is a no obligation call to help get you started on the path to productivity.